After 3 years and 2300 miles on the standard rubber, it was time for an upgrade. The logical choice would be a set of Bridgestones, but I have always been interested in the Michelin Power Pure tyres. This morning, I paid a visit to Watling tyres who kindly agreed to fit the tyres. Tyre changes fill me with fear. 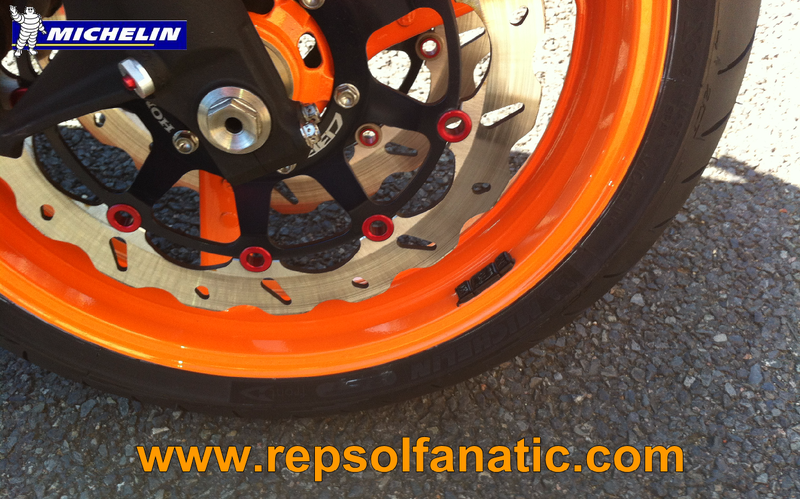 As any painted wheel owner knows, damage can occur when tyres are changed. I never had to worry. These guys did a great job and would recommend them to anyone. Once fitted, the immediate thing I noticed was that the Power pure offers a slightly lower profile than the standard Dunlops and Bridgestones shipped on Hondas. I rode away and immediately noticed the bike felt different to the original tyres and setup. The bike seemed more planted on the road due to the hot day and stickier rubber. The first bend showed the biggest change. The big felt lighter to steer and grip gave confidence to lean further. The only thing that stopped me was the fact they are new tyres and that they hadn't been scrubbed in. I am really impressed with these tyres so far. 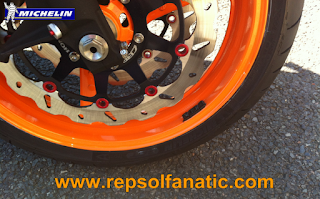 For less than £250 you can transform the handling of a bike and gain more grip. I know I have spent more than that and saved less unsprung weight. This bikes was nimble before thanks to Titanium spindles and nuts but this is so much easier. Heres my advice. 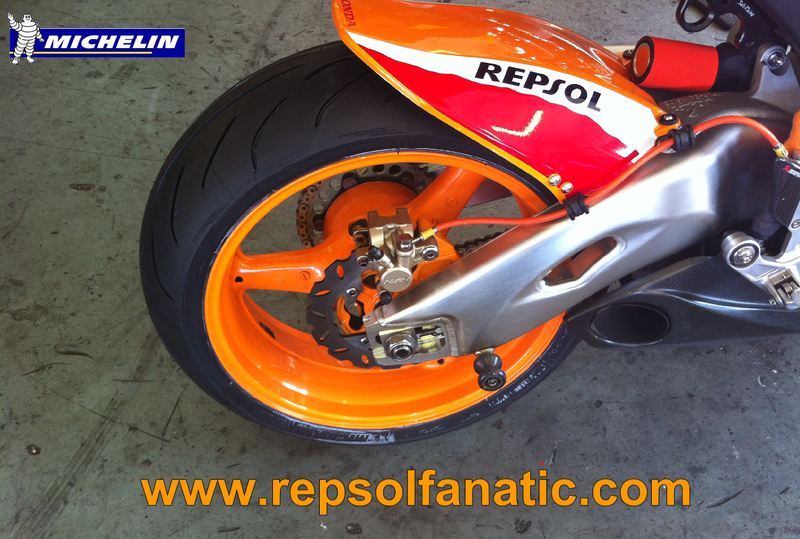 If you want to improve an already great bike, get these tyres and make a litre bike much more agile for not a lot of money.